What is your best way of getting hotel points in Singapore? 4 Comments on What is your best way of getting hotel points in Singapore? It’s tough to chase hotel points in Singapore. We can earn airline miles easily enough (well, at least Krisflyer and Asiamiles), but when it comes to hotel point currencies, we’re SOL. We don’t have any cobrand cards like the yanks do, what with their fancy SPG AMEX (30,000 Starpoints with $3,000 spend) and Hilton AMEX (50,000 Hilton Points with $1,000 spend). Therefore, we either earn them the old fashioned way by staying, or we need to look at some other options. It is technically possible to earn hotel points through credit cards here, but the rate is so low as to make it not worthwhile. You’d get much better value redeeming your card points for airline miles. AMEX in Singapore has both Hilton and Starwood as transfer partners for its Membership Rewards (MR) program. Your standard AMEX Platinum card (any of the three) earns 2 MR points per S$1.60 spent. The only other points earning option is the AMEX Rewards with 1 MR point per S$1 spent. S$1 on AMEX Rewards= 1 MR = 1.25 Hilton Points= 0.33 SPG points. I know it’s not a fair comparison, but when you consider what cardholders in the States earn…man. As rare as hotel points may be for those of us in Singapore, it’s simply bad value to try to earn them through AMEX cards. You’re really losing out in two ways- one, by the inferior rate of points earning the AMEX cards have, two, by the inferior rate of transfer between MR and hotels. You’d get better value by using a cashback card and spending the money saved on hotels. Of course I’m not considering the possibility of earning 10X MR points with AMEX EXTRA partners, but as I said in a previous article, these partners are limited to high end boutiques and and a handful of restaurants. It’s unlikely you’ll be spending enough here to make it viable. Final point on this- the AMEX Rewards has a little-publicized sign up bonus which awards you 21,000 bonus MR points when you spend $1,500 within 3 months of signing up. That, together with the base points you earn gives you a grand total of 24,000 MR points. 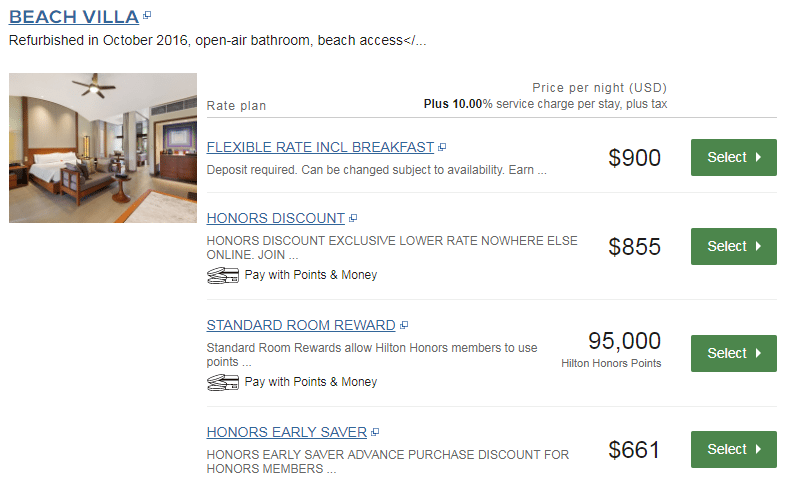 It’s 7,920 SPG/ 30,000 Hilton points, which isn’t a whole lot, but one of your better options. Of course, this can only be done once so it’s not a reliable way of generating points regularly. The most interesting observation is that there isn’t parity between Citimiles and Thank You points. The same 10,000 Hilton points cost 6,667 miles or 25,000 points. But 25,000 points= 10,000 miles. 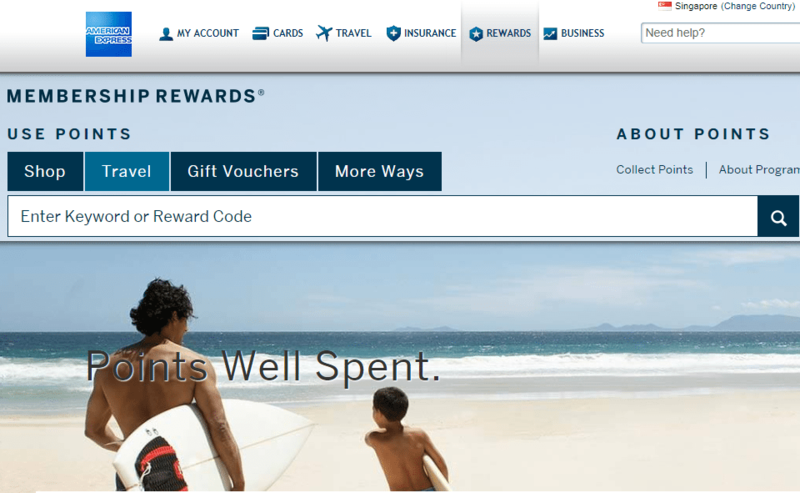 If you do chose to earn hotel points through Citibank cards, it seems like it would be much cheaper to do so via the Premiermiles cards rather than Citibank Rewards. This all assumes, of course, that you only use your Citibank Rewards card for 10X opportunities. I see a really unhealthy number of people using their Citibank Rewards card to pay at restaurants and it kills me every time. In the absence of any other ideas, buying points might be your best way of generating them in Singapore. I’m going to run through some of the sales we’ve seen for major points currencies recently. Starwood points typically retail at 3.5 US cents each, but from time to time we see sales of 35% that brings down the cost to 2.28 US cents each. There was an even more fantastic targeted promotion last year that saw some accounts getting 50% discounts, which meant 1.75 US cents each. 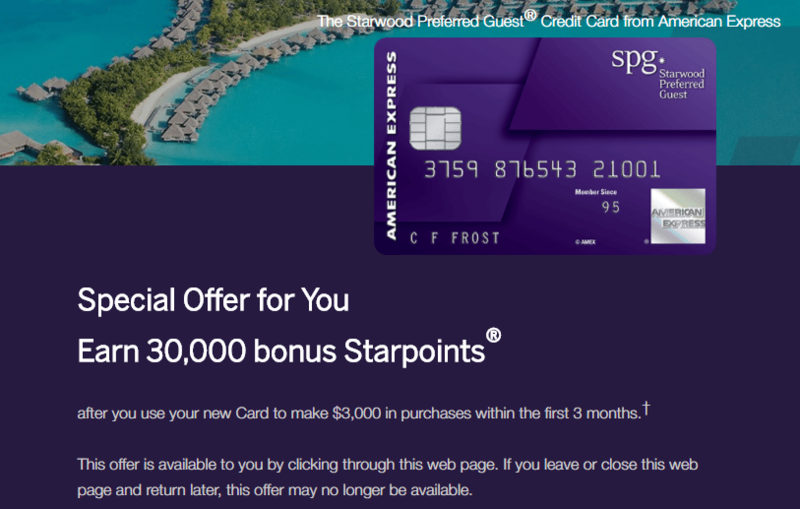 Given that Starwood points are valued at about 2.2 US cents, that should have been a no brainer. Hilton often sells points with a 100% bonus, which brings the cost from 1 US cent per point to 0.5 US cents (typical valuation: 0.4 US cents). IHG has run 100% bonus sales recently bringing the cost down to 0.575 US cents each (typical valuation: 0.5 US cents). Hyatt does sales of 30-40% from time to time, allowing you to buy points at 1.71 US cents each (typical valuation: 1.5 US cents). If you buy points in this manner, you can effectively buy expensive properties at a discount. Take for example the Conrad Maldives below- the cheapest revenue rate is US$661, but if you bought 95,000 points at 0.5 cents each you’d pay US$475. Plus, points rates are refundable whereas the cheapest revenue rate will probably not be. 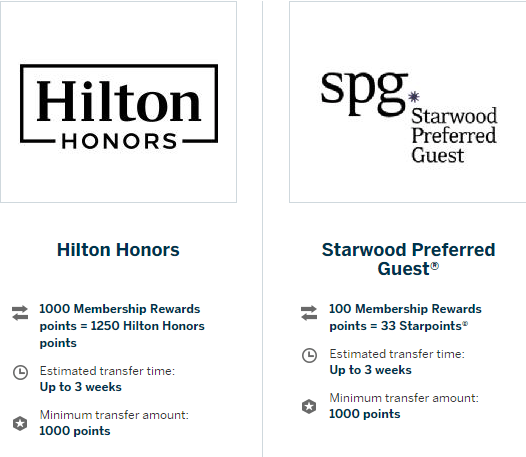 Most hotel programs will cap the maximum number of points you can buy in a year- for Starwood it’s 30,000 and for Hilton it’s 80,000. Both of these amounts are before bonuses. There may also be restrictions on how old your account must be before you can buy points (eg for SPG it’s 14 days), so I’d recommend getting account set up now just in case. I wish I had a better solution for you guys, but we have to accept that Singapore is too insignificant a market for any major hotel chain to offer a co-branded credit card. I still chuckle when I get the occasional email asking me whether Starwood will bring its credit card here. There are a handful of airline loyalty programs (Virgin Atlantic and Hawaiian Airlines come to mind) that let you transfer miles to hotel points, but these are generally at very bad rates. Moreover, you can’t earn those two currencies in Singapore. If you need hotel points, you’re probably best looking at picking them up cheap when they go on sale.